Ingrid Rob eyns holds the chair in Ethics of Institutions at the Ethics Institute of Utrecht University. She was trained as an economist and a philosopher, and received her PhD from Cambridge University. Her research and teaching focusses on theories of justice, the ethics of institutions, and applied social ethics/political philosophy on a wide variety of topics – including autism, demography, basic income, taxation, as well as various more specific policy proposals. She has also methodological interests, especially in the relationship between ideal and nonideal political philosophy, in questions about ‘how to do’ nonideal political philosophy, and in the challenges and pitfalls of interdisciplinary research. Robeyns has a strong interdisciplinary profile, and is currently finishing a bookmanuscript on the capability approach, which is a deeply interdisciplinary research paradigm. She has been the recipient of several research grants, including an NWO VIDI grant (2006-2011) and now the ERC Consolidator Grant (2017-2022) which funds the Fair Limits project. 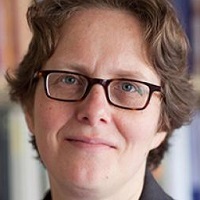 She served as the first director of the Dutch Research School of Philosophy (OZSW), was a member of the KNAW Young Academy (DJA, 2010-2015) and is currently serving as President-elect of the Human Development and Capability Association (HDCA).